To engage a BRAINsmART Therapist, the first step is to send a message through the appointment request form or to call our office. We assess together during the first phone consult what your therapy needs are and how BST could possibly help you achieve your goals. You will discuss payment, insurance, and other office policies during your first phone conversation. If both prospective client and therapist agree to meet for an assessment session, we set up the first appointment. For the first appointment, be sure to take the time to reflect on the answers to the questions the Intake Form answers, which you will bring to the first session. The Consent for Treatment and Disclosure forms should also be brought with you to the first appointment. Video Counseling through Skype or FaceTime is available. Please discuss and set this up with your therapist. In the modern world, and especially in the United States, the internet and computer-based culture focuses us on the dominance of the left side of the brain, using the analytical and methodical. This has resulted in a dangerous disconnection from the right brain’s emotional intelligence that includes creative self-expression, and ability to ‘talk to the body’. 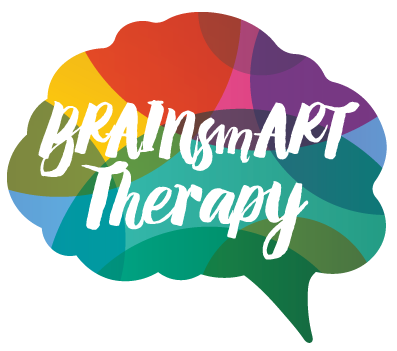 BRAINsmART Therapy is a Cross Modal Creative Arts Therapy, meaning it’s an arts-based, problem-solving approach to heal trauma through the reconnection of the mind to the body. It’s a therapy method that goes beyond traditional art, music, dance, and talk therapies, using exercises to engage the whole brain in the process of healing. The BRAINsmART approach is grounded in the latest neuroscience research on trauma, creativity and the brain, which clearly demonstrates that we must ‘go beyond the traditional talking cure’ to heal damages to the body, mind, and emotions caused by traumatic events. We offer our clients a way to integrate and transform the way their bodies react to overwhelming events through creative expression in the visual, musical, and movement arts. During this process the once traumatic material is transformed into a meaningful story and purpose. to bring the traumatic experience back into a meaningful story and purpose. The BRAINsmART process trains the body, mind and the brain to work together consciously to “re-view” the trauma with new understanding, rather than automatically reliving and reacting to it. These methods invite the body and the mind to work together, which slows our body’s knee-jerk reactions to trauma and gives us a chance to catch up and breathe. Our clients develop methods to create the motivation and courage required to acknowledge and accept new perspectives and new problem-solving that can resolve their issues. By participating in the creative process they engage new positive patterns of thinking, feeling, and interacting with the world. It is often during these new ways of exploring traumatic material that the creative insight produces the, “ah-ha!” moments in BRAINsmART therapy sessions – propelling people into real change. What we have named ‘sensori-image’ re-processing is a natural way to explore sensations, emotions and thoughts through imagery. Clients access their innate courage by creating pictures of what they feel in their bodies and emotions and what they think. This visual awareness enables them to gain distance and mastery over the sensations, emotions and thoughts that once seemed intolerable. We offer our clients a way to integrate and transform the way their bodies react to overwhelming events through creative expression in the visual, musical, and movement arts. During this process the once traumatic material is transformed into a meaningful story and purpose. The BRAINsmART process trains the body, mind and the brain to work together consciously to “re-view” our sensations, emotions and images with new understanding, rather than automatically reliving and reacting to it. When we indirectly master in the present, the differentiated feelings, sensations and thoughts linked to past overwhelming events become less threatening. When we have safely managed the ‘parts’ in the present, the whole memory shifts and changes. This connection between imagery and the body’s experience is key to becoming free from the past, we can transform the whole narrative of the past if, we can change the ‘parts’ -the emotions, sensations and thoughts in the present. It is often during these visualizations in the present that people are released from being frozen in the past– propelling them into real change. The most exciting thing to witness in our clients is how creative self-expression, in a SAFE non-judgemental environment, increases both acceptance and compassion for self and others - the foundation stones of a healthy identity who can face the challenges of a stressful world with resiliency and creativity. BRAINsmART Therapy is a small group of like-minded therapy clinicians who believe that for therapy to make deep and lasting changes, the process must engage the body, mind, and creative spirit of each person we work with.